Static images which you use as your profile pictures are becoming old school. I guess you are aware of facebook’s plans to roll out profile videos as an alternative to profile pictures. So what can you do to get yourself one best video of yours??? Today here at Tips2secure, we are going to teach about how to create own Gif images using Giphy's Gif maker. Stop worrying from being left out of the race, as Giphy’s new online Gif maker would be of help for you. Giphy’s new online tool will let you create Gif images easily from videos. Gif images are not something new to us. Most of us have often wondered how people make small motion pictures as Gif images. Gif images is one of the most frequently used and loved language on web. What you wish to say in a thousand words can be easily summed up in a small moving image. It is also a very easy way to communicate what you have to say. Creating a Gif image was not such an easy task before. But Giphy, the website known for its large database of Gif images has come up with an online tool that has made Gif image making really easy. 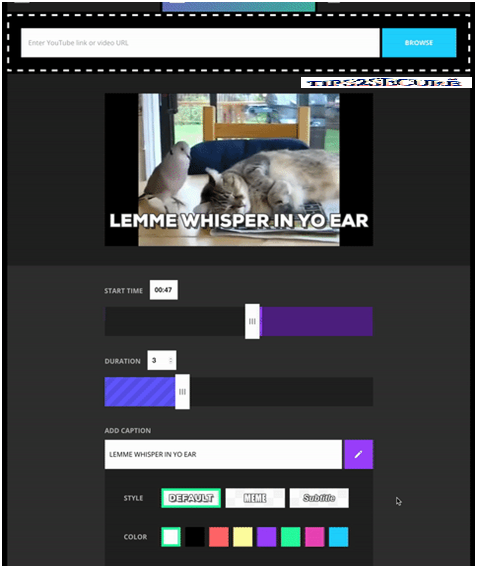 Giphy’s new free online tool named as Gif maker can help you create Gif images quickly from videos. 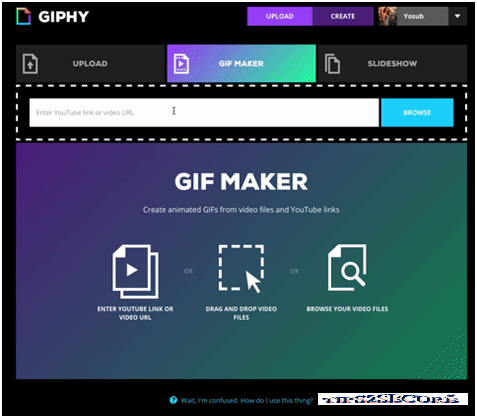 Giphy’s Gif maker is a free online tool which can be used by anyone by visiting their website. It is really hassle free as it works online and you do not have to install any software or anything on your device to create Gif images. When you access the webpage, you will see an option to feed any YouTube video link from which you wish to make the Gif image. Users also have the option to upload any video from their system and make Gif image from it. When you have given the link or uploaded your video, it goes to the next page where you can make the Gif image. The user interface is very clean and straight forward. 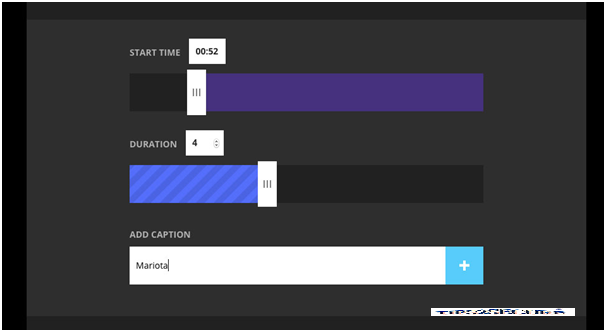 The Gif maker tool will allow you to drag and set the start and finish time on the video you have selected. When done, the online tool does all the processing in the cloud and end up with giving you a Gif image. The user can then save it on their PC, or share it with their friends online. The only catch here is, by default all the Gif images which you create using this tool will get stored in Giphy’s database. But why worry, you do a get for yourself a Gif image to show off with your friends! The Gif makes does support high quality HTML5 files. The tool allows you to make Gif images from the videos as long as you have a direct link of the video file. As of now it is not supporting videos from Vimeo for some reason. If you don’t want to make Gif from video file, and want to make it by clubbing different pictures together, you have the option for that too. You have the slideshow option where you can put all your pictures together and then set the start and end time. 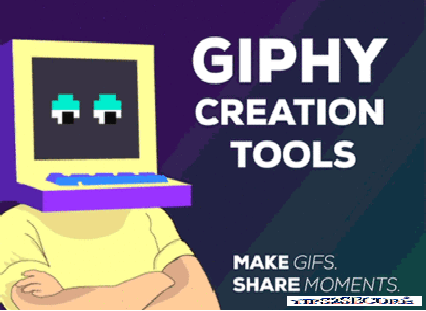 Hence Go on, and make your own Gif images using Giphy’s Gif, maker! Message: I hope that you have enjoyed 'Make your own Gif images using Giphy’s Gif Maker' article. However, if you want me to deliver more items then please share my post. You can use Social Sharing Widget provided at the end of every post. After all, Sharing is Caring!